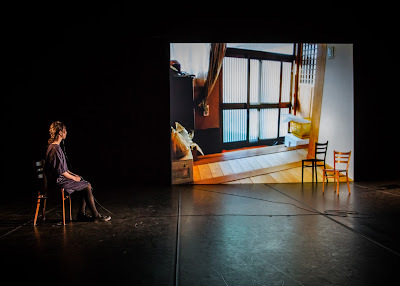 I’ve already written a review for AussieTheatre this year – MTC’s production of Born Yesterday – but I want to try to write a little something about all the theatre I see this year. Back in 2012, I saw The Book of Mormon on Broadway after lining up for a few hours to get standing-room-only tickets. My sister and I stood at the back of the stalls, behind people who probably paid $300 for their seats. I’ve never been so happy to stand before. Four and a half years later, the show has made it to Melbourne and I’m so glad to have seen it again. It’s not a soundtrack I listen to a lot and it’s not a show I think about much, but it’s so fun in the theatre. I think I even enjoyed it more this second time, maybe because I paid for a seat this time? I remembered parts but I’d forgotten others. I noticed details I had missed before. I also think it’s smarter than I first gave it credit for. 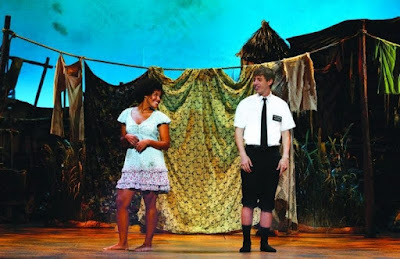 The satire on religion is not subtle, but the look at Africa through the lens of Mormon missionaries is very pointed. And while it’s outrageously crude, as you would expect from the creators of South Park, the songs are clever and the performances are outstanding. The Malthouse Theatre’s 2017 season looks sensational and it has kicked off with a rich, immersive piece of theatre – a one-man show that really gets inside the audience’s head. 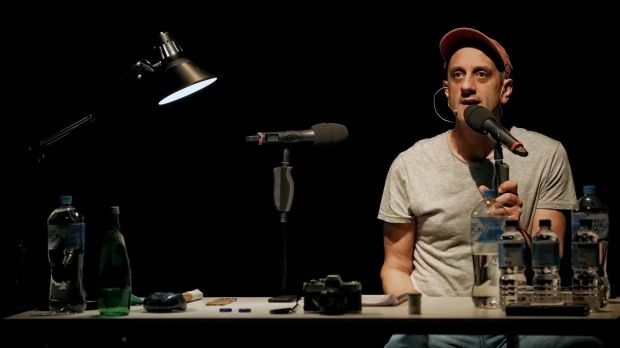 Performer Richard Katz welcomes us to theatre, gets us to put our headphones on and treats us to the story of Loren McIntyre, a photographer for National Geographic who got lost in the Amazon jungle in 1969. How do you capture life? How do you record it? Can you record it too much and if a recording disappears, is your memory enough? The questions the show raises are as dramatic as McIntyre’s thrilling and horrifying trip into the Amazon – trying to capture images of a “lost tribe”. With the headphones on, the soundscape can put the voice of the performer before us behind us. He can whisper in our ear. His words can echo and repeat. Music can be weaved in, along with live sound-effects and pre-recorded interviews. This one-man show creates a wild, wide world right inside your head. This show is - I suspect - unforgettable, even though this review and a Facebook check-in might be the only digital reminders of my encounter with it. The Encounter is sold out. The Book of Mormon will run for a while.